She is a big fan of weed. 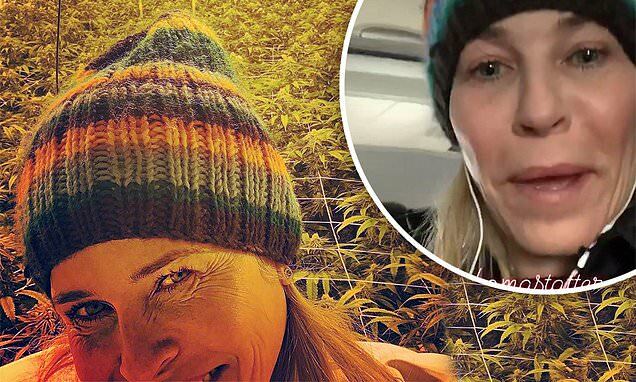 And on Tuesday Chelsea Handler continued on her quest to find a munchies-resistant strain. The 43-year-old comedian visited a marijuana farm, posting a selfie in front of thousands of the plants, before possibly mis-attributing a profound quote to Leo Tolstoy. 'Weed. It makes everything and everyone a little bit easier,' she wrote in the caption, attributing it to the Russian War And Peace novelist. In her stories, Chelsea explained a little bit more about her mission. 'Today I'm heading up north to another weed farm so I can see another grow, because I've only been to about 17 grows,' she said.